LEMP stack is a group of open source software to get a VPS up and running. The acronym includes the Linux (L), MySQL (M), and PHP (P) of the more traditional LAMP stack, but switches out Apache for Nginx (pronounced engine x). 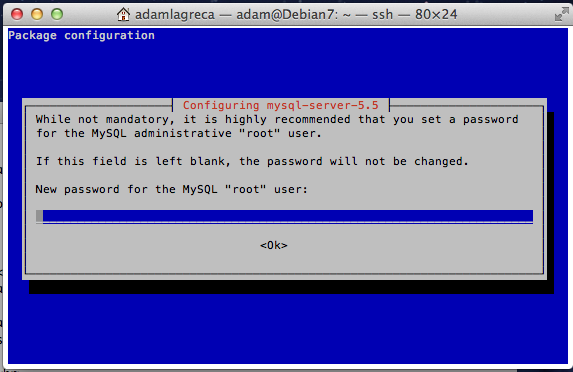 This tutorial explains how to install nginx/MySQL/PHP-fpm, as well as all of the required repos to download nginx and php-fpm. It will also review how to configure php and nginx, as well as how to create a php info page. The apt-get update command is used to re-synchronize the package index files from their sources. If used in combination with the apt-get upgrade command, they install the newest versions of all packages currently available. The prompt will ask if you want to change the root password. Go ahead and choose N for this option, as the root password should aready be set; however, for the rest of the questions you can simply reply Y to all-- unless there is a reason for you to do otherwise. Initial installation is simple with the apt-get command. Now if you point your browser to your IP address, it should confirm that nginx was successfully installed on your cloud server. *Run the following command to reveal your VPS's IP address. UPDATE: Newer Ubuntu versions create a directory called 'html' instead of 'www' by default. If /usr/share/nginx/www does not exist, it's probably called html. Make sure you update your configuration appropriately. Add index.php to the index line. Find the line cgi.fix_pathinfo=1 and change the 1 to 0. If this number is kept as 1, the php interpreter will do its best to process the file that is as near to the requested file as possible. This is a possible security risk. If this number is set to 0, conversely, the interpreter will only process the exact file path— a much safer alternative. Find the line, listen = 127.0.0.1:9000, and change the 127.0.0.1:9000 to /var/run/php5-fpm.sock.